We don’t know the circumstances, but about three months after the Great Fire of Rome in July, 64 AD, Peter was arrested and executed by crucifixion. Remarkably, Jesus had predicted the crucifixion of Peter over 30 years earlier. Church sources from the second and third centuries say Peter was crucified upside down. Some say that was his request, since he saw himself unworthy to be crucified in the same way as his Lord. Peter was buried in a cemetery near the north wall of the Circus of Nero, probably being crucified in the gardens nearby. In the 4th century, Emperor Constantine built a church to commemorate the martyrdom of Peter at the location marked since the 2nd century. This church became known as the incredible Basilica of Saint Peter. However, it wasn’t until the 20th century that archaeological discoveries provided evidence to confirm this as the actual location for the ancient tomb of Peter. When the tomb under the Basilica was excavated, archaeological material such as coins and inscriptions indicated its use as early as the 1st century. Later, bones were discovered, which were determined to be those of a man about 60 to 70 years old. 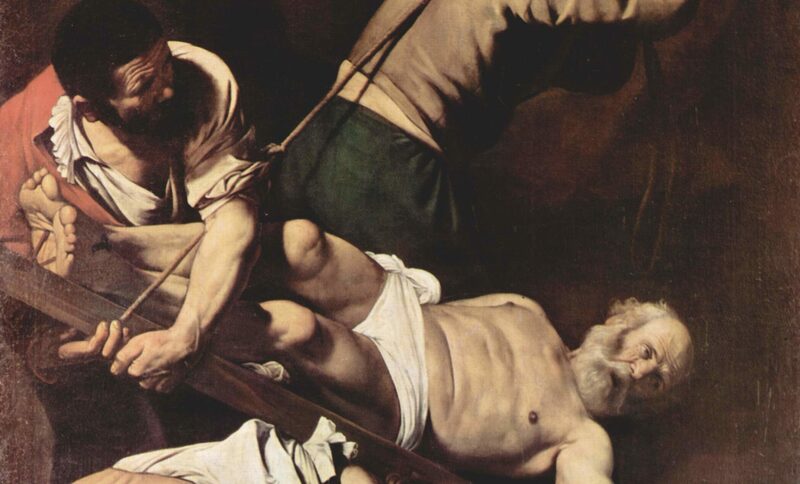 Additionally, the bones of the feet, below the ankles, were missing, suggesting the possibility that the man was cut down from a cross after being crucified upside down, just as the ancient accounts say. Finally, there was an inscription of Petros (“Peter”) from the 2nd century that was discovered on the wall near the tomb. Therefore, the tomb monument seems to have been made in the 2nd century, in a cemetery that was used as early as the 1st century, then continuously visited and revered until the 4th century when Constantine built a church to protect the tomb and commemorate the martyrdom of Peter. While not absolute, this is pretty good evidence for Peter being buried at the Basilica of Saint Peter, now on the grounds of the Vatican.